Robert Williams (active 1680-1704), Mezzotinter. Artist associated with 76 portraits. Lord High Treasurer, Sidney Godolphin, with considerable financial acumen,begins to shift the country's dependence from short-term borrowing to long-term. His management of the country's revenue allowed the government to fund John Churchill, Duke of Marlborough's successful fight against France. Mathematical scientist, Isaac Newton, recently made President of the Royal Society, presents his second major publication, Opticks, to the Society. Daniel Defoe launches The Review, a periodical dedicated to news, specifically the war in Europe; it is published thrice weekly. Battle of Blenheim marks a turning point in the War of the Spanish Succession, as allied armies under John Churchill, Duke of Marlborough, and Princes Eugene of Savoy and Lewis of Baden defeat the Franco-Bavarian army on the River Danube. 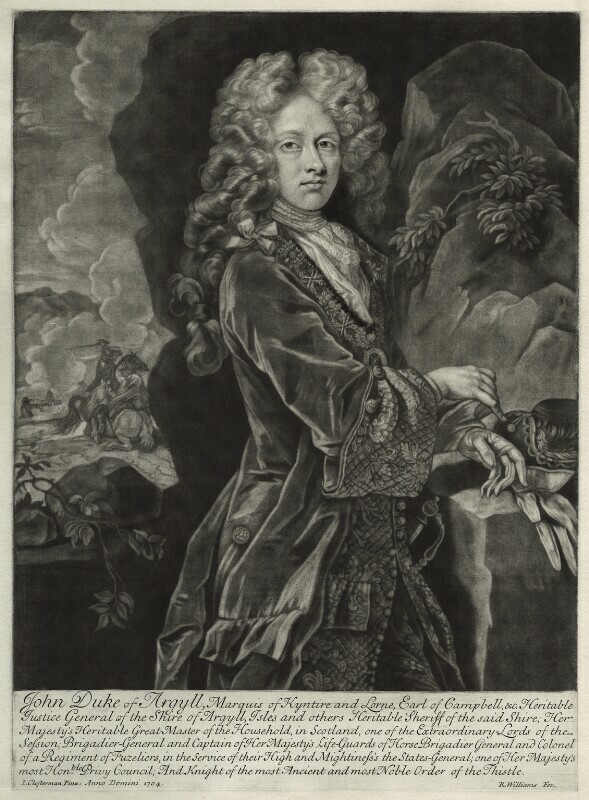 Admiral George Rooke captures Gibraltar.